13.26mm x 9.85mm / 0.522in. x 0.388in. Iron Charm by Rembrandt Charms. The width is 1/2 of an inch. The seamstress in your life will love adding our Iron Charm to their charm bracelet. Show your appreciation with this charm as a gift to add to their charm collection. 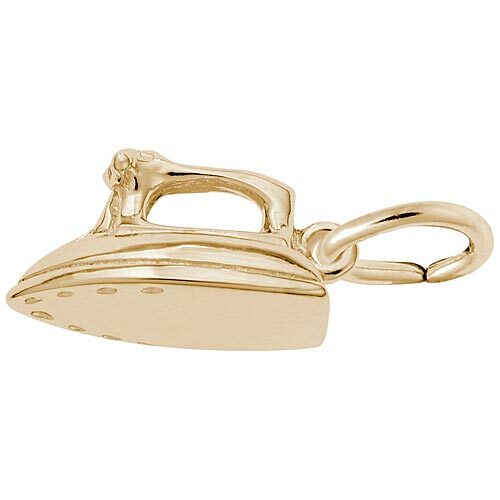 This Iron charm can be placed on a necklace or will be a wonderful addition to a Charm Bracelet. All Rembrandt Charms are available in either silver or gold.